Midsize Aerospace and Aviation manufacturers need to choose a system that quickly delivers the core capabilities they need to streamline product development but also gives them room to grow value over time. Product Lifecycle Management (PLM) software can help. It drives better product development performance by managing product-related data, processes and projects. 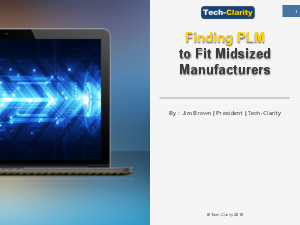 While smaller companies may be able to control, access and share product data with relatively simple Product Data Management (PDM) tools, larger manufacturers rely on full featured PLM systems that help automate processes and share data across global Aerospace and Aviation companies.